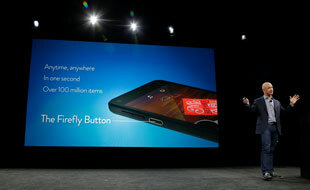 Interesting: Amazon's product-finding Firefly lands on Fire HD tablets. When Amazon first announced Firefly along with the Fire Phone, I thought it would have significant impact on visual search applications, but it turns out Firefly is less about raw visual search and more about barcode reading and optical character recognition. Still Amazon is not known for giving up; they will keep making it better and better and more useful to consumers. Asking the important questions: Which rock is classic? 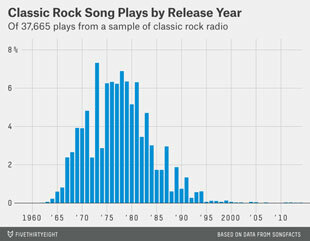 I'm tempted to say "you know it when you hear it", but this is a more quantitative analysis. It does seem to have more to do with how it sounds than with when it was released. Just the other day I was surprised to realize Guns N' Roses "Welcome to the Jungle" dated back to 1987; when it was released, it wasn't classic, but it sure is now. What of today's music will be considered "classic" in the future?